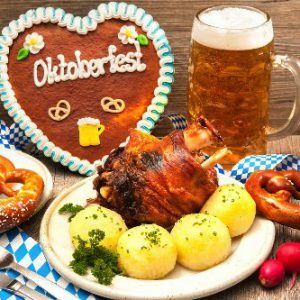 Celebrate German beer, food and fall at a Virginia Oktoberfest in September or October 2019. More than 900,000 people came to Funtober last year looking to attend a fall festival and another 700,000 were specifically interested in attending an oktoberfest. We can help increase attendance at your event through a sponsored listing, coupon giveaway, cross-promotion or other creative marketing initiative. Special deals for nonprofits. Please see our advertising page for more information. Oktoberfest at Tysons’ Biergarten kicks off September 16, with events every weekend through October 28th. This 20th annual Oktoberfest is a four day festival of German food, beer, music and dancing. Includes 10K walk and 5K challenge, carnival, kinder korner kids activity area, 21+ beer tent, Mr. & Mrs. Oktoberfest contest and more. 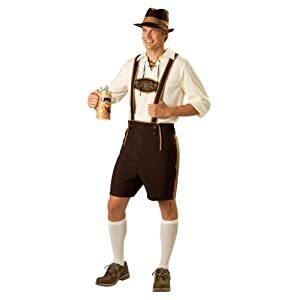 Capital Ale House will celebrate Oktoberfest in Fredericksburg with Virginia beers, German food, live music, German dancers and Kinderplatz with kids activities. $2 cover charge benefits a local charity. Families are welcome but parent/guardian must accompany those under 21. A Bavarian Bash and Harvest Festival with German food and beer, live music and family friendly entertainment. Reservations required. $10 cover charge. Harvest festival has Oktoberfest Beer garden with live music, food and fall craft beer. It will be Saturday in 2016 rather than Friday. Authentic German beer, food, and activities, plus a Strongman competition, corn hole, bounce houses, raffles and more! Rides, games, prizes, food & drink, live music, and the Demented Dimensions Maze, all set in Busch Gardens. 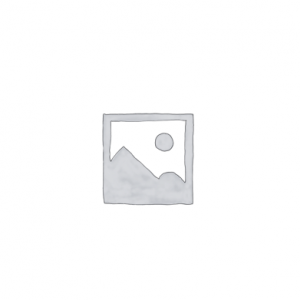 An Oktoberfest and 5K Trail Race/Walk. Starts at Westlake Town Center at 10:30 AM with trail race ending at the Oktoberfest. Beer festival runs from noon to 5 PM. Live entertainment by The Mountain Top Polka Band. Special beer by Sunken City Brewery. Family friendly with children’s play area. Admission for adults is $5. Race registration is $25. Annual family friendly event held indoors in the Old Dominion building, which is decorated with German flare. It claims to be the largest German-American festival in the state of Virginia, welcoming 5,000 over the two days. There is a large dance floor and stage for musical entertainment. Food options include Bratwurst, Knockwurst, Broiled Chicken, Pork Roast, Sauerkraut, pretzels and more. Celebrate Lovettsville’s rich German heritage with authentic German cuisine, live music performances, street performers, beer, wine and more. The Lovettsville Oktoberfest will kick off once again with a hearty pancake breakfast, followed by the tapping of the beer kegs. Enjoy traditional Bavarian music and dance performances under the Main Tent. Head over to the Weiner Dog Races to cheer on your favorite pup. The kids will enjoy an expanded Kinderfest with FREE games and activities. Savor the authentic German food of the Washington Saengerbund. Shop your way through over 120 art, crafts, and service vendors lining the streets. Admission is FREE, parking is FREE, trolleys are FREE, and the all day entertainment is FREE. 50 breweries will offer samples of craft beer. Live music also. Some of these Oktoberfest parties might be on the smaller side. You should also check the lists of nearby states that also celebrate Oktoberfest: Kentucky, Maryland, North Carolina, Tennessee, West Virginia. This 17th annual Northern Virginia Oktoberfest will take place at The Village at Shirlington with 65+ breweries, authentic German band and food. Free to attend but $30 to sample beer (includes wristband, tasting glass and 10 tickets). I would be grateful if you could send me the application for the event/address mentioned above.Please send it at your earliest convenience. As I’m not involved with the events, I don’t have their food vendor applications. Try clicking on the hyperlink for the events and send them an email. I’m sure that the Oktoberfests that you list would love to have you. The Oktoberfest with the Sauerkraut Band at Mountain Lake Hotel is another great one! Capitol Alehouse in Fredericksburg does NOT have an Oktoberfest event on 22 September. Cap Alehouse has four locations and is holding them in different locations (Harrisonburg on 22 September…etc) and dates. Also the dates for the Ft Belvoir event are incorrect. Ft Belvoir is hosting its event Thursday, 4 October to Sunday 7 October…not 29 Sep – 2 Oct (which would be Saturday to Tuesday). Please update the site. Thanks for the varied info though. Are the dates set for the 2017 Oktoberfest yet?